Are Pillow Pets Safe For Infants? My Pillow Pets toys are soft and cuddly and therefore you would think these would be safe for all ages of children, even small babies. However, this is not the cause because no matter how soft a toy is, it can still pose a choking hazard for a very young child. Whether this is from some of the soft fabric that a child might chew on, or the eyes, nose, mouth and tail/fins/spots and so on that any given animal might have, any of these could come off the plush toy and end up in your youngster’s mouth. Therefore, whenever you are buying toys for infants, you must always check the recommended age as given by the manufacturer. 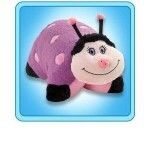 My Pillow Pets toys are recommended for children aged 3 years and upwards. 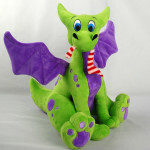 The largest size that an original My Pillow Pets toy is available in is 18 inches. Some parents have been looking for 36 inch Pillow Pets however, these are probably fake Pillow Pets toys and not originals. 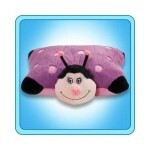 A little Pillow Pet is around 11 inches in size. 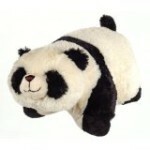 A big Pillow Pet is around 18 inches in size. 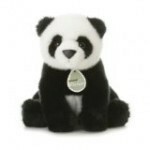 Due to the enormous success that the My Pillow Pets brand of toys has had during the last few years, it should come as no surprise that there are lots of companies springing up that claim to offer their own brand of cuddly and plush toys. There are many companies, too numerous to mention but unless a toy specifically has a label on it that states it is manufactured by the My Pillow Pets company, then it is a fake. How Big Are Pillow Pets Blankets? My Pillow Pets blankets are a nice and big size of 3 feet by 4 feet.